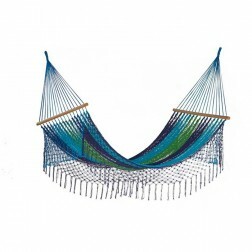 Put your feet up with your best friend or significant other, and enjoy a few moments away from the worries of the world in a double hammock. 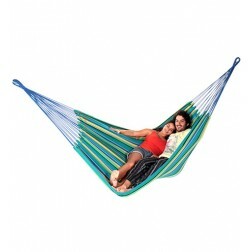 These high-quality double hammocks are big enough for two to stretch out and relax on. 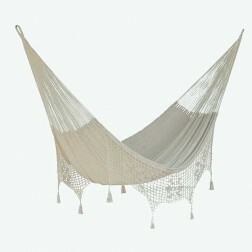 Chat, cuddle, or snooze away with your companion and enjoy the pleasant weather. 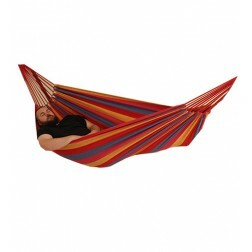 Generously sized, the double hammock with stand will comfortably accommodate 1 person of nearly any size, and two people of moderate size. Always check the specifications before purchasing to avoid disappointment! 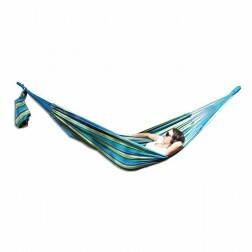 Double Hammocks from buyhammocksonline.com.au are crafted with quality material in either Brazil or Mexico. 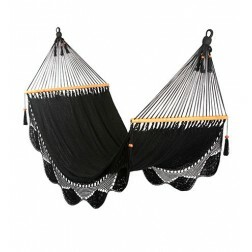 Our hanging accessories are great for the suspension of the double bed-sized, 2 person hammocks. 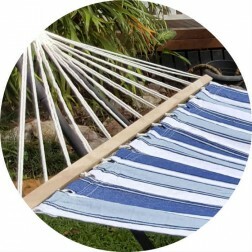 Installation and assembly of the Double Hammock is simple, allowing you more time for your siesta or escape from daily life. 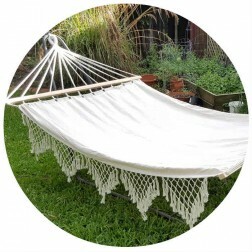 Enjoy the two person hammock in your backyard, suspended from trees, a pergola, a gazebo, or other outdoor sturdy structure. 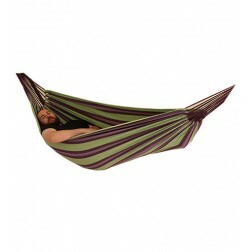 A Double Garden Hammock allows you to shut out the outside world in the comfort of your own garden or yard. 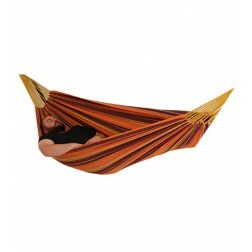 Alternatively, take your portable double hammock on your next camping trip. 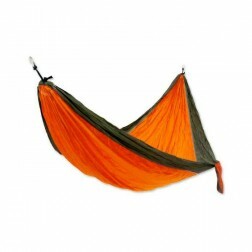 A Double Camping Hammock provides a comfortable resting spot in the great outdoors, especially if you take along a double hammock with frame. 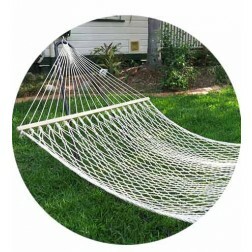 Assembly is quick, so you can get to your outdoor relaxation zone with the least amount of set-up. 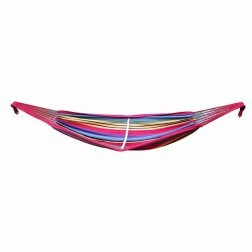 Accessories for hanging the colorful, durable hammock beds are available from buyhammocksonline.com.au. 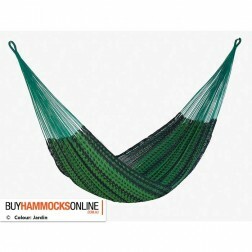 Whether you are purchasing a camping double or other double size hammocks, our website sells everything you need to assemble your Double Camping Hammock with ease. 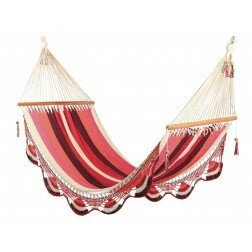 Double Hammocks with stands are perfect for your garden setting or a quiet corner of your backyard. 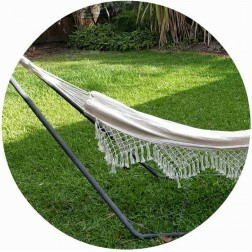 Wherever you can find a space for the Hammock Double, you'll soon be enjoying a cool drink and the quiet breezes. 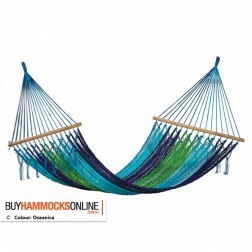 If you prefer a more active lifestyle, for instance at the nearby beach, your Double Hammock is easily transported. 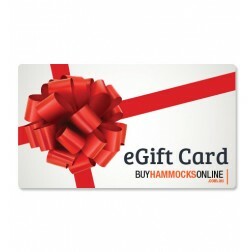 Check our website to select your favorite color, and price. 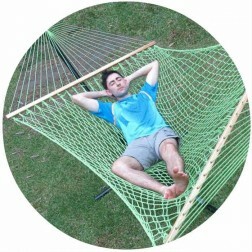 Buy now and enjoy your new hammock in a few days. You deserve it!